PBS’s hit Downton Abbey seems to be the talk of the town these days. The fabulous colors and textures this 19-Century period drama has reintroduced into home design have become a welcome change to the modern color palette. 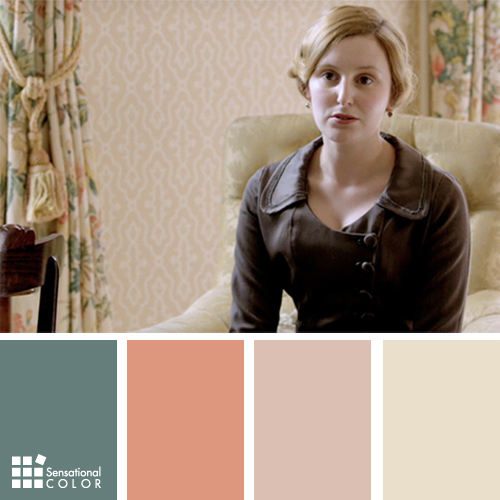 According to Architectural Digest, Downton Abbey’s set can be described as a “Gothic Revival” introducing such colors as deep blood reds, gilded yellows, soft pastels and burnished browns. If you are interested in incorporating some of these color elements into your home here are some design-provoking photos and ideas you may want to use. 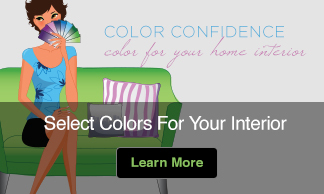 I suggest starting by picking up these color tones in a more subtle area of your home- unless you really want to add drama in your living or dining room. 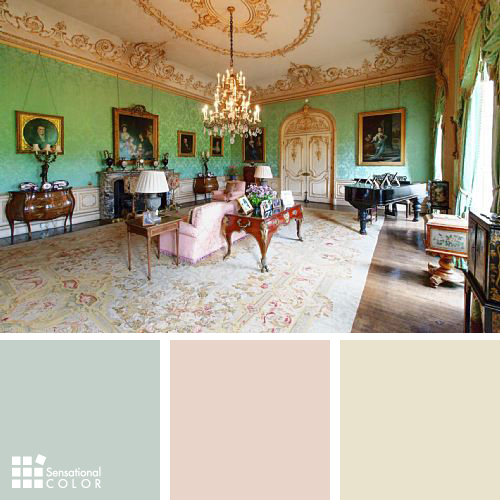 The Main Drawing Room presents with stunning aqua wallpaper and warm gilding in rich hues, offset by the cream ceiling that creeps ever slightly down the walls. This blue-yellow combination can create huge drama in a room and are punched up when the deep wood tones scattered about. Sybil’s Room is a dream of style and femininity. Rose-colored wallpaper is cleverly married with ivory and putty in a wonderful pattern. Nestled between the greens and deeper reds in her curtains. This room really does offer a nod to the shabby-chic that we use so often in our homes today. Talk about rich. Visit high style elegance in Cora’s Room. Deep wood tones, a stunning coffered, white ceiling against the striking cornflower blue walls sets the stage for romance and a nod to modern hues. Notice how they painted Cora’s bedroom door to match her walls, this is a wonderful idea to incorporate in home design creating a seamless look to your room. 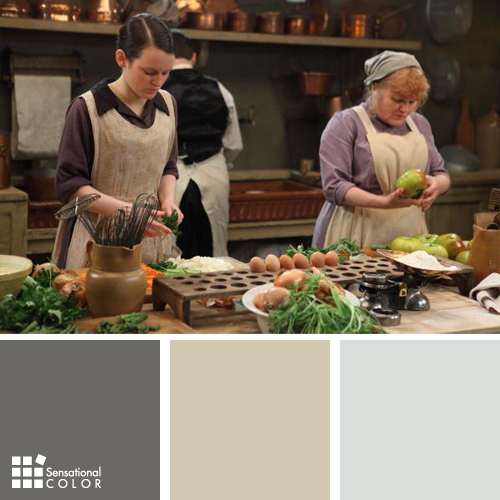 As kitchens were more practical in nature, rather than the hub of the home – Downton Abbey’s Kitchen design is muted in grays, browns and warm ivory. The warm wood tones in the beautiful farm tables ground the room and are often used in home design today. The Library on Downton Abbey is a sight to behold. 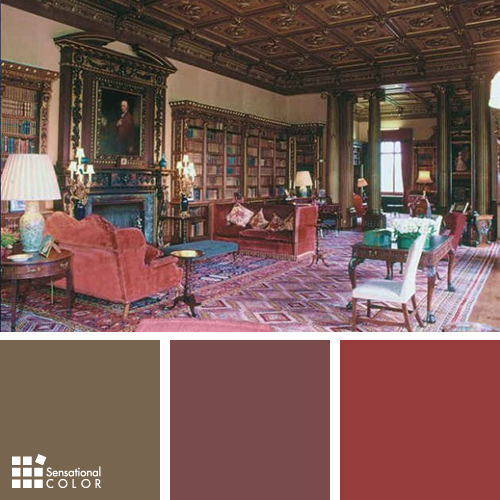 Rich reds, pops of blue and green and the amazing browns in the coffered tile ceiling are grounding, deep and just drama-filled for this book-filled oasis. 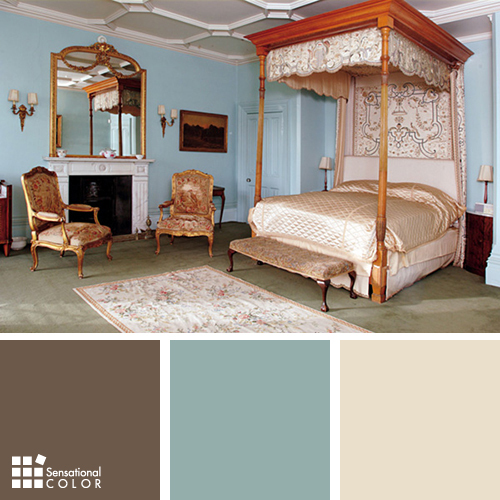 Consider this stunning treatment on a ceiling or adding a wonderful red velvet sofa to your living room to really bring on the drama. 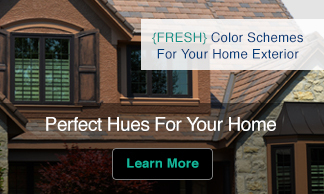 Although most of us do not live in a castle like they do on Downton Abbey, we can still create warmth and richness while having fun introducing full textures and vibrant color into our homes. Great article Kate. I did a post about this several months ago but yours is 5x more detailed 🙂 I love the damask designs the interior decorators of Downton Abby use. The red damask used in Mary’s room is particularly stunning. Most people may not realize it but the detailed accent walls are one of the main reasons why the show is so visually appealing. Thanks for the nice compliment. I agree with you assessment about the color and details. It really keeps you visually engaged with the show.